Another of those why haven't we been here before spots. Far more beautiful than the trudge of High Street and also dry and grassy for a change. 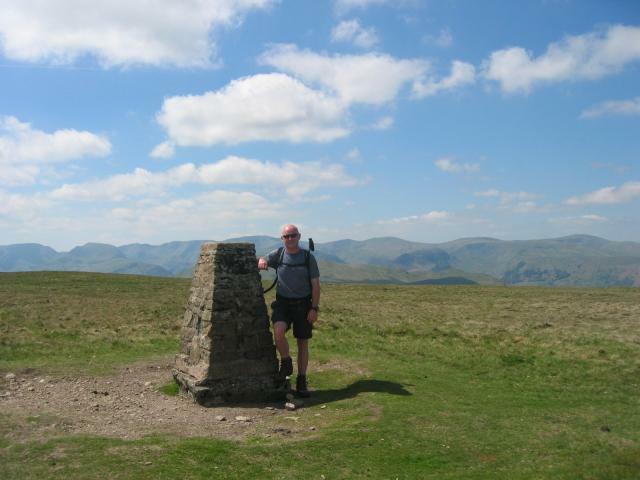 From Martindale then across to the Marilyn of Hallin Fell. Grey wading in from the south west, just in time for marmalade purchase at Dalemain. 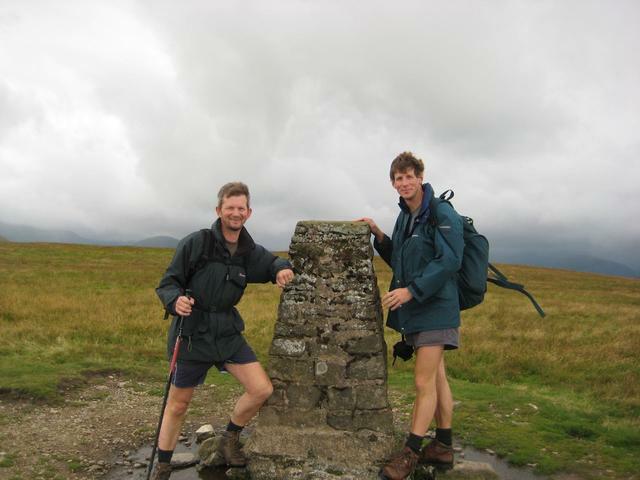 Beautiful day walking High Street with S&B (S/H subgroup) after taking the boat from Pooley Bridge down to Howtown. Parked in Howtown. 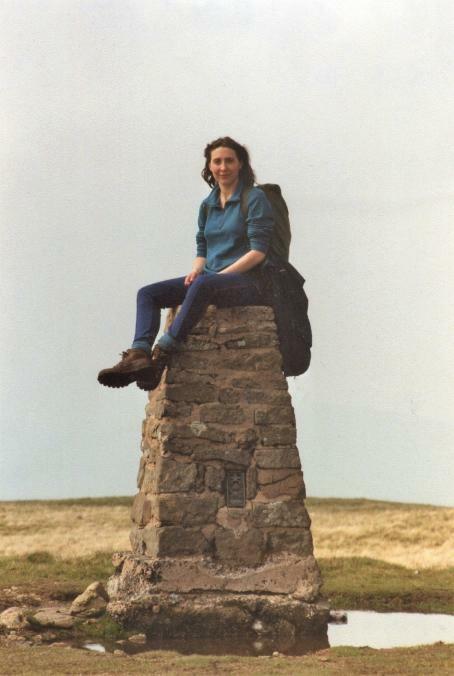 Past Fusedale then back on yourself. Very snowy morning, hard work in deep snow. Walked up from Steel Knots adding W's to my FE fells count. 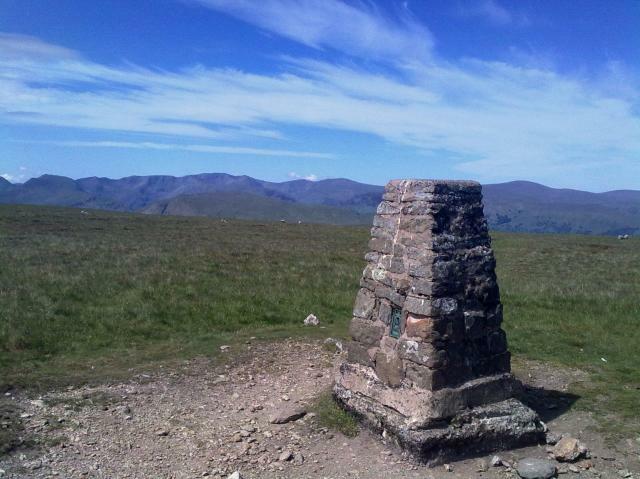 Absolutely cracking day to be out on the fells. Visibility and views simply stunning today. Local traditional stone pillar in good order but as others have noted, foundations now a little exposed . All metal work intact. Onward to High Raise and beyond. 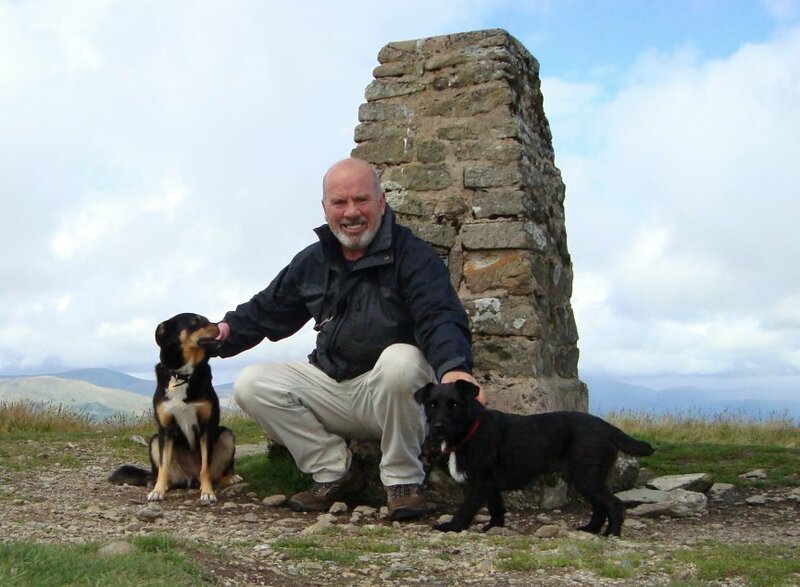 A memorable day out on the fells. Fine stone-built pillar retaining original top cap with raised lettering. 1 sight hole only on LHS - open. Ground at base suffering erosion exposing foundation. Cloud down no views. 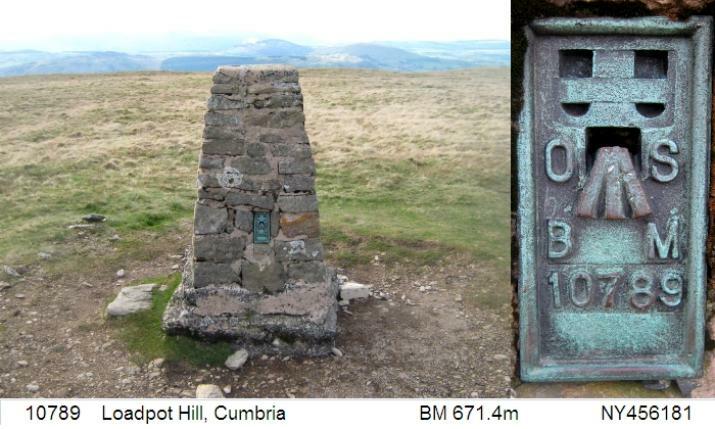 Started at Bampton followed circular route via The Hause and Kop Fell onto the summit, returning via Hart Fell. 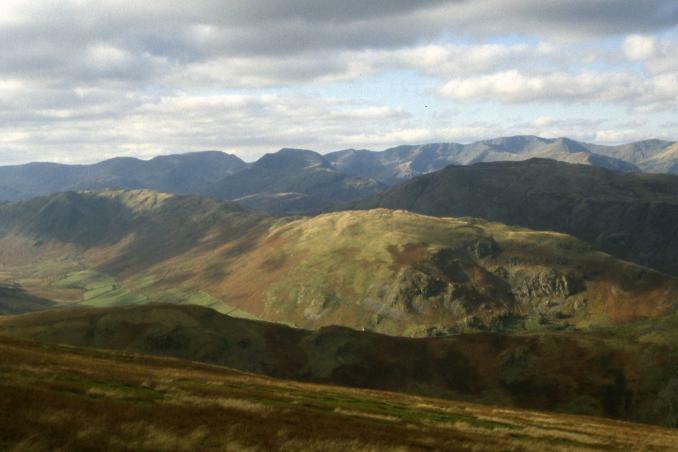 Missed out on the views west across to Helvellyn. 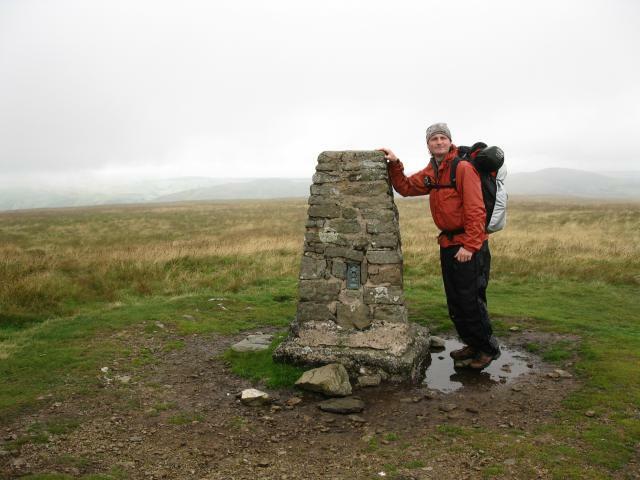 Rain clouds descended upon us as we arrived at this stone built trig point. Visited during Lakes Mountain 42. Started in Askam. 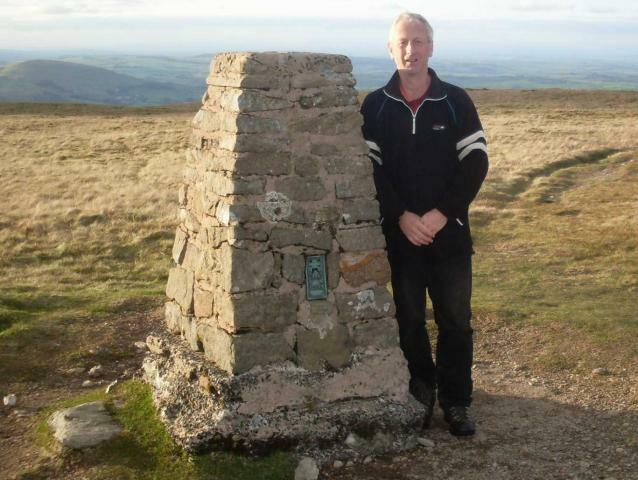 A day out to increase the Wainwright collection. 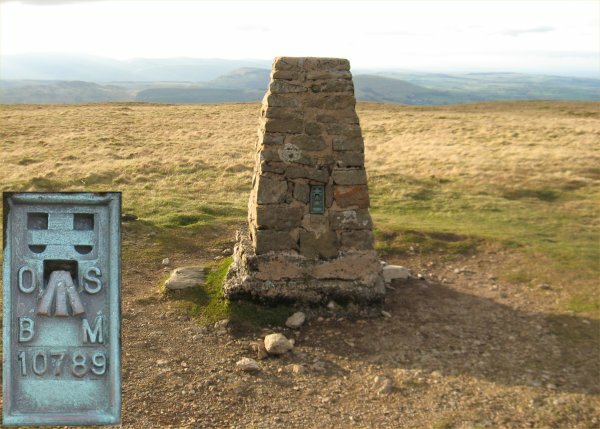 Parked at NY505210 (1 km S of Helton) and did the long gentle trek up to Wether Hill, then back to the car via Loadpot Hill, Bonscale Pike, Arthurs Pike, Heughscar Hill, and the prehistoric landscape (Bronze age cairns and stone circles) of Askham Fell. Fair number of walkers and cyclists out, though the weather was damp and misty. Views were great towards the central fells, would be fantastic on a clear day. This is a pretty tall trig! Stone built and a decent view of the fells around Ullswater, rather cloudy though. 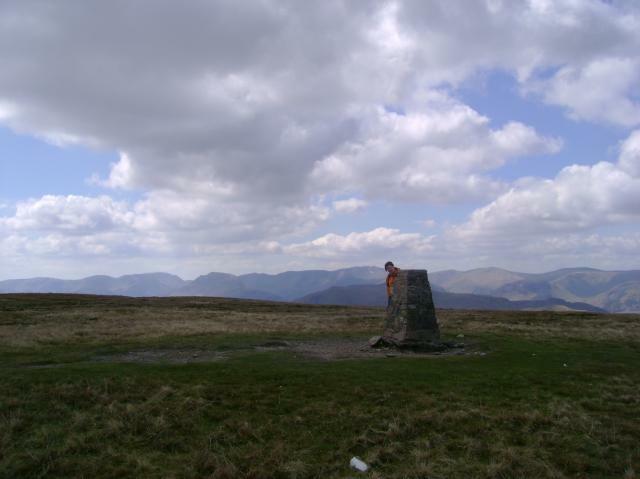 As a there and back from Wether fell, before moving on to High Raise. 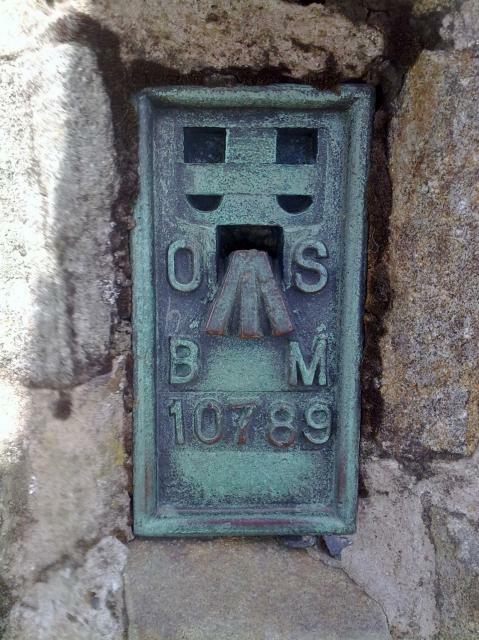 Pillar in Good Condition with metal plug. 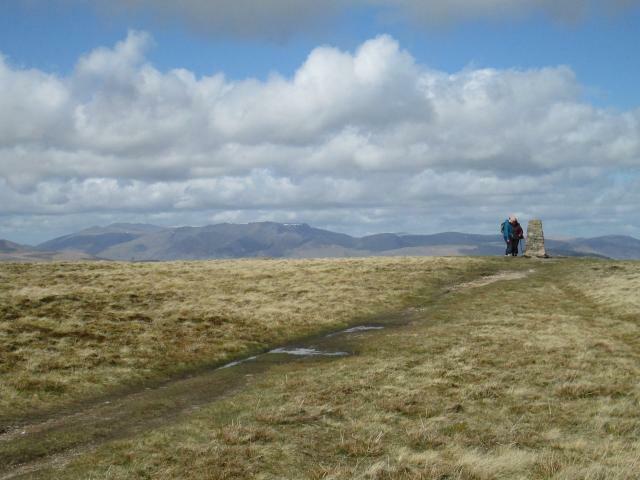 Good Views of the Eastern Fells. 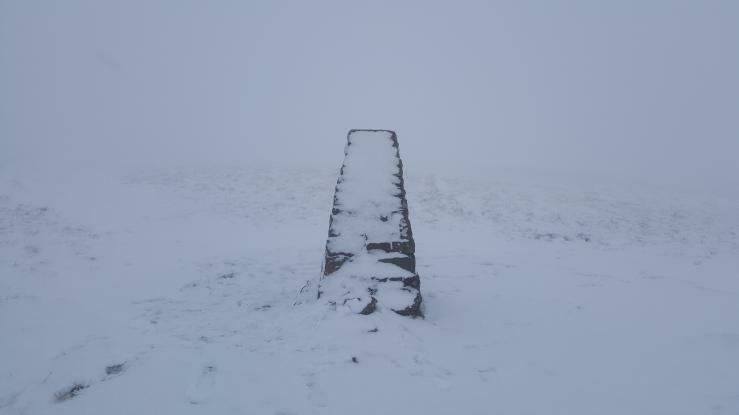 Was cold and bleak up here. 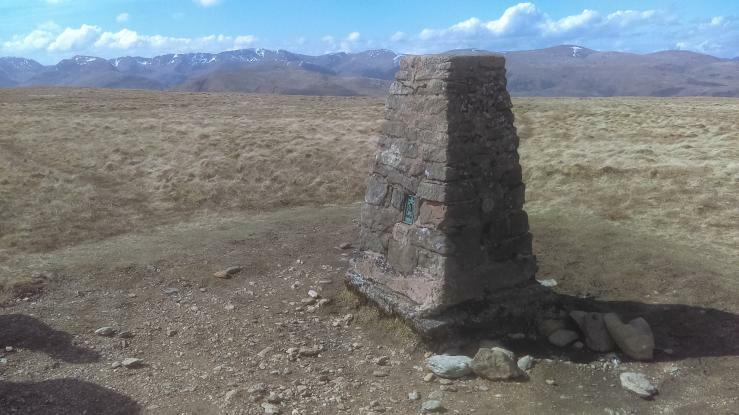 Came to this one as part of walk around Fusedale - trig point was a bonus! Wether and Loadpot Hills from the east. Snowy day. 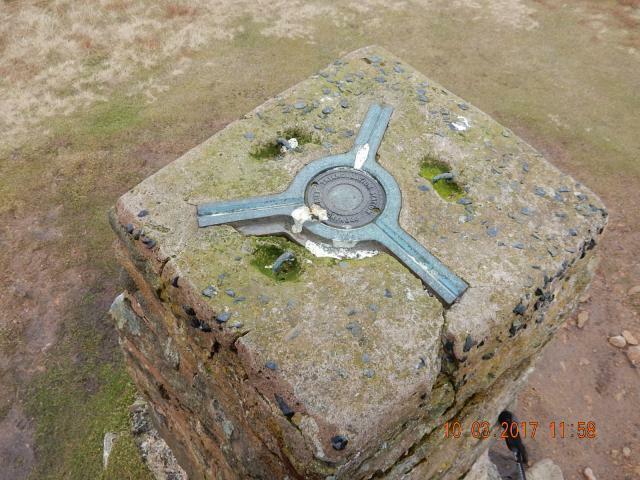 Presumably built after Wainwright visited? 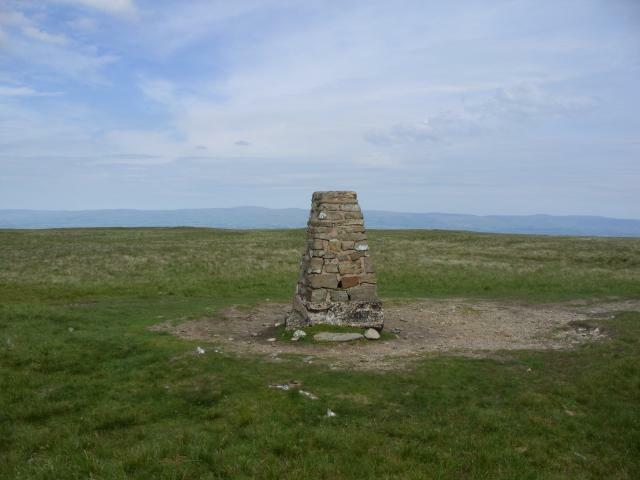 Parked off road to east of Moorahill Farm then Low Kop, High Kop, Red Craig, Raven Howe, Wether Hill, Wether Hill Wainwright and Loadpot Hill plus trig on a lovely sunny day. Up from Moorahill Farm.Much better views than last time I visited(in pre-trigging days)especially to the west. 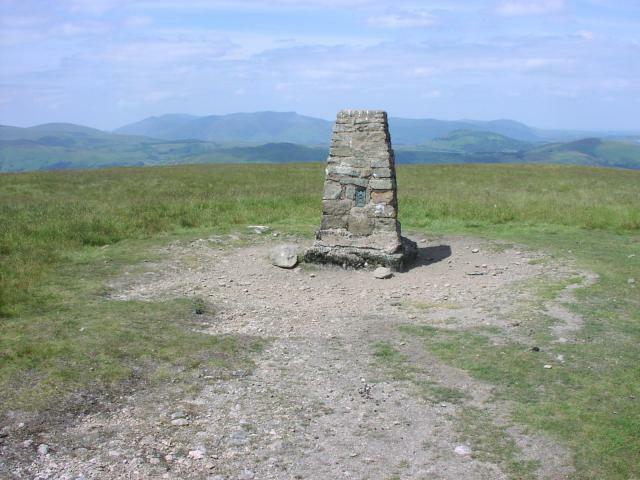 Parked Moorahill Farm > The Hause > Low Kop > High Kop > Wether Hill > Loadpot Hill > Hart Hill > the Pen > Moorahill Farm. 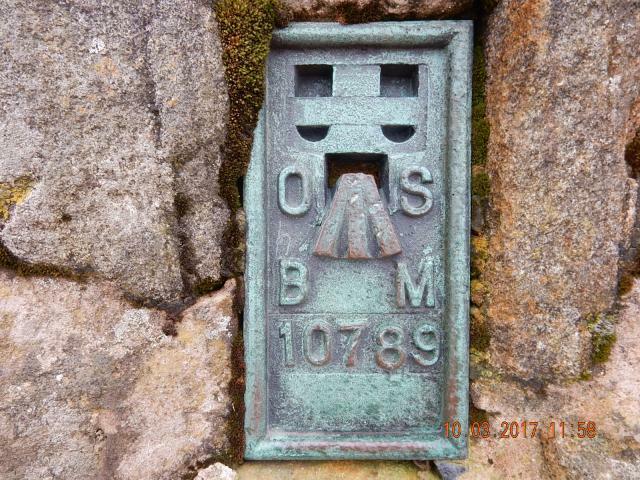 Wide looking stone built pillar,OS cap with raised letters,small piece of screed missing around spider & one sight hole open.Stunning 360� views on a fabulous walk. Parked at Roehead (just outside Pooley Bridge) and roughly followed High Street (path) to pillar. A nice gradual climb on a windy but clear day. 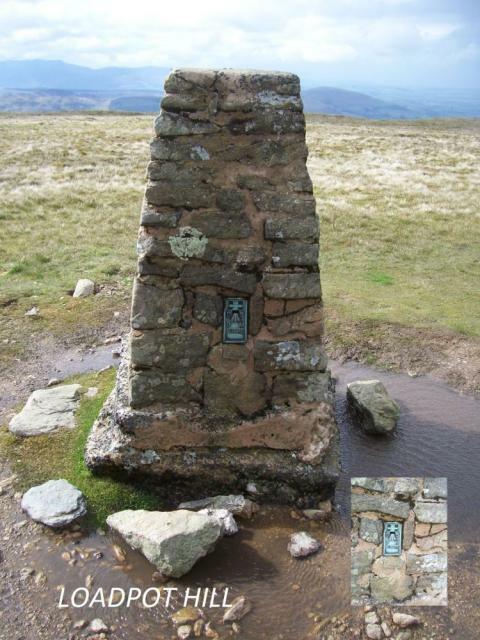 Returned via Arthur's Pike. 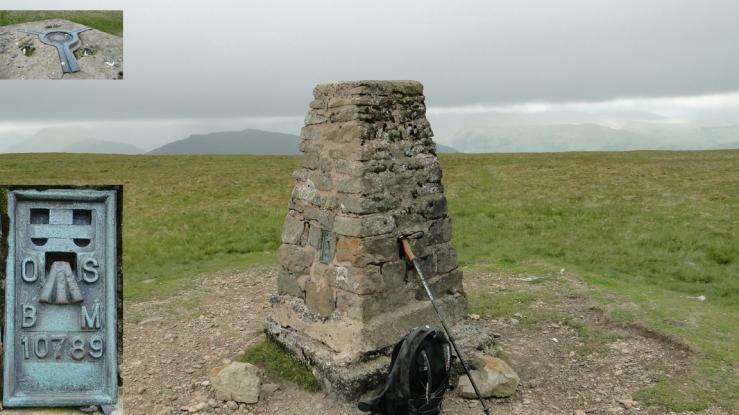 Very wet underfoot and a fairly featureless hill - but good views across to the eastern fells and beyond. Pillar looks quite fat. The path via Arthur's Pike is a lot less waterlogged than High Street. Had the hill, more or less, to ourselves. A dull day and very wet underfoot so views were not of the best. 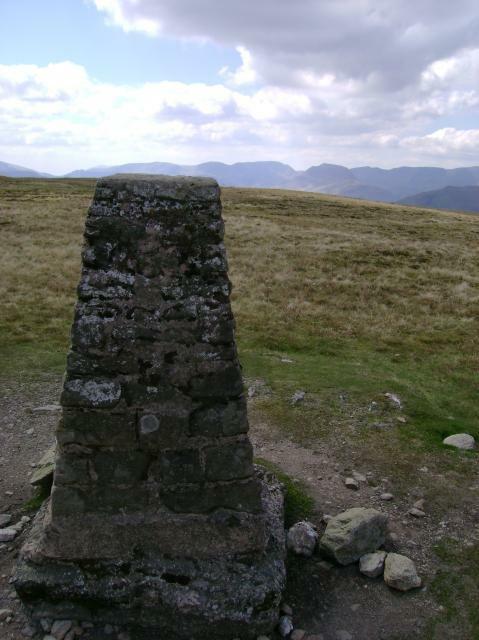 Walked up from the Church at Martindale and included Wether Hill and Steel Knotts on the route. 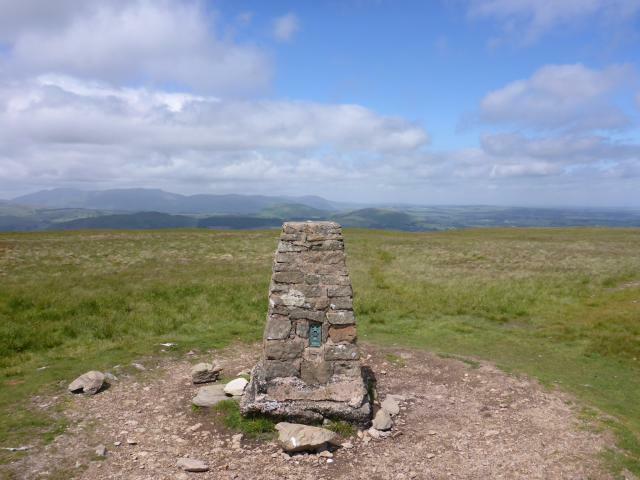 Revisit, circular walk from Heltonhead. 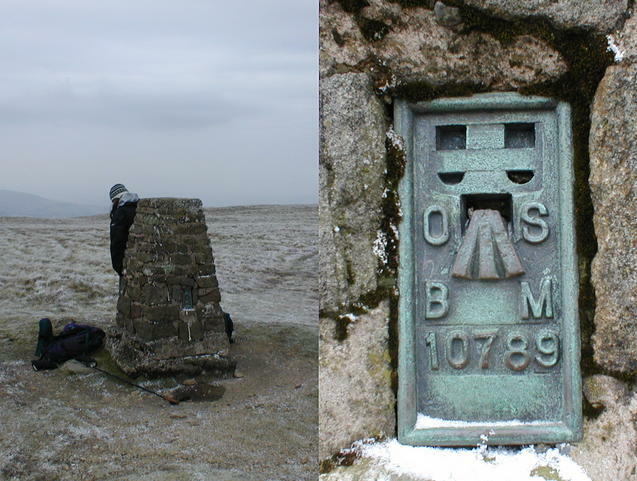 Ascent over Helton Fell, descending over Bonscale Pike and Arthur's Pike. 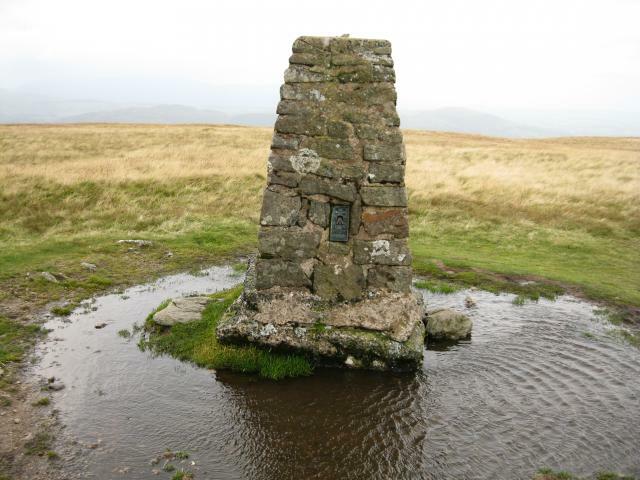 parked at howtown and made off on an anticlockwise wainwright round starting with pikeawassa. followed atream up past ruin where i entered cloudbase. stayed that way until mid way down the descent from bonscale pike. lots of stones, activity up top here. trig in good nick. Did it along with weather hill. Revisit. Walk from Patterdale over the tops to Pooley Bridge on a very wet day with little to see. 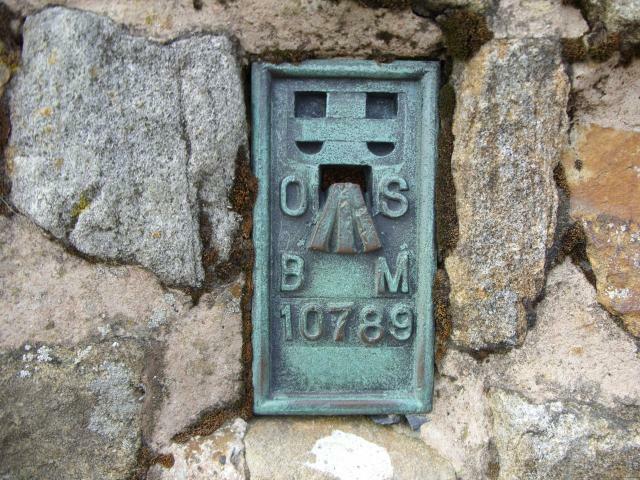 Stone built pillar with intact plug with raised letters. Good views all round. 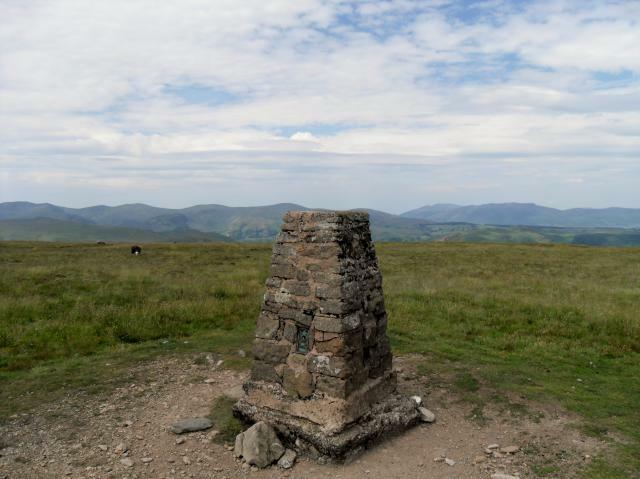 Good views of lakeland fells, Howgills and the Dales. Solway firth was just visable through the haze. An awesome adventure exploring the hills on to wheels. 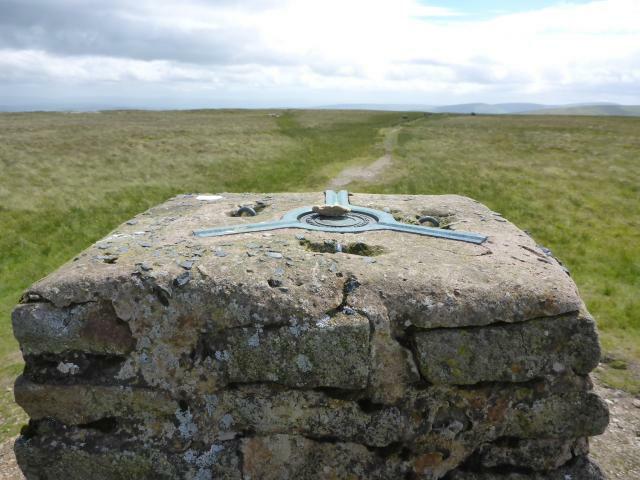 Parked opposite Moorahill Farm, followed RoW through Carhullan then straight line across open moor to trig. Revisit. 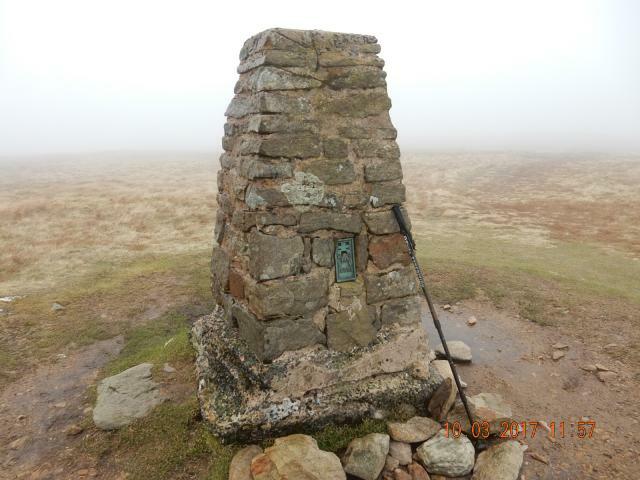 Walk from Patterdale to Kidsty Pike, then over the tops and onto Pooley Bridge on damp, cool day with limited visibility. 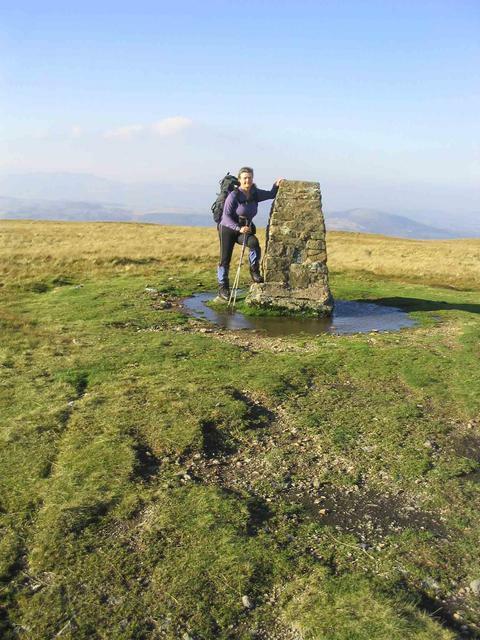 Real sunny day this one,stunning views,trig in good nick. Parked at Howtown Hotel and walked up Fusedale Beck, up onto Loadpot Hill, then North, past a stone circle and onto Arthurs Pike. From there, we descended to Auterstone Wood and then back to Howtown. 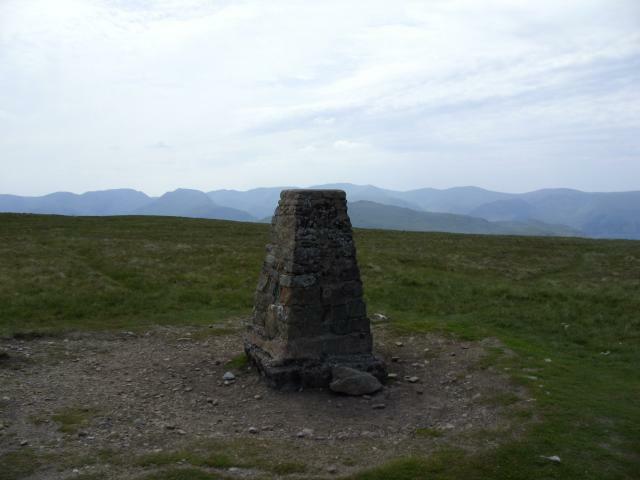 Loadpot Hill is a cracking viewpoint and totally deserted. Perhaps most of the crowds were on High Street. Finished with a pint at the Howtown Hotel. 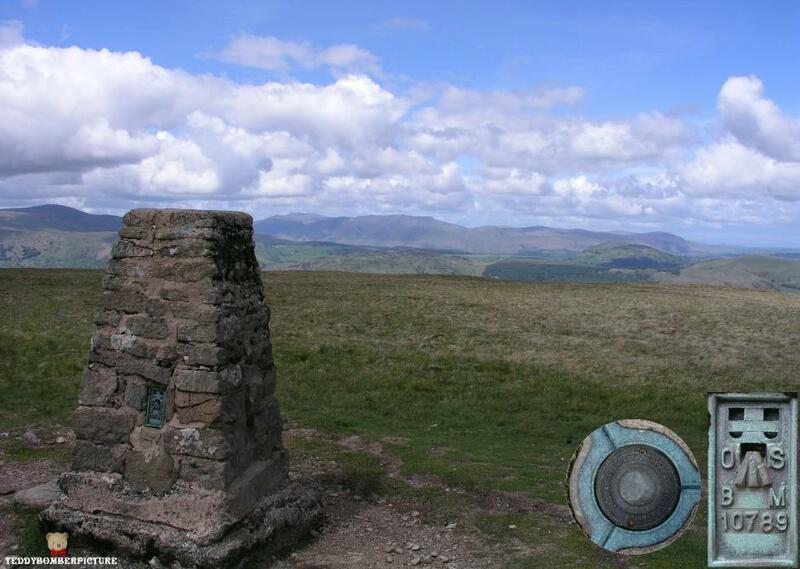 Cracking views and a cracking trig. 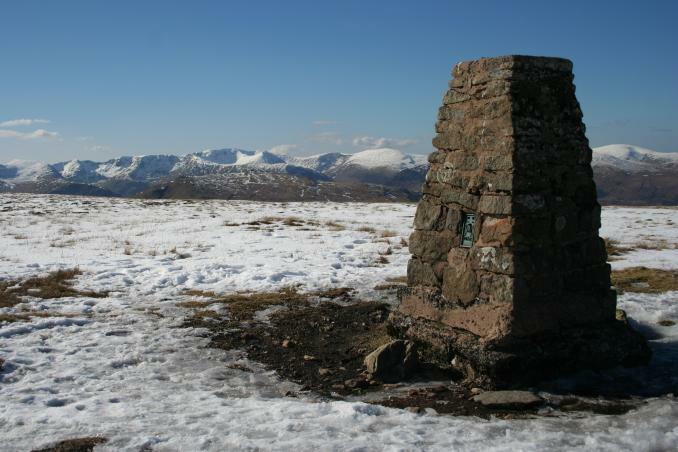 Snow underfoot with full sunshine & clear views over to Helvellyn. Truly awesome. Parked at the top of Haweswater resevoir and up to Kidsey Pike from there before walking along the Ridge to Loadpoint Hill. After visiting the trig we walked east and down to Bampton village where we were staying. A cold wet wintery day. Did a round from Moorahill Farm. Fine clear day with all the hills well defined. 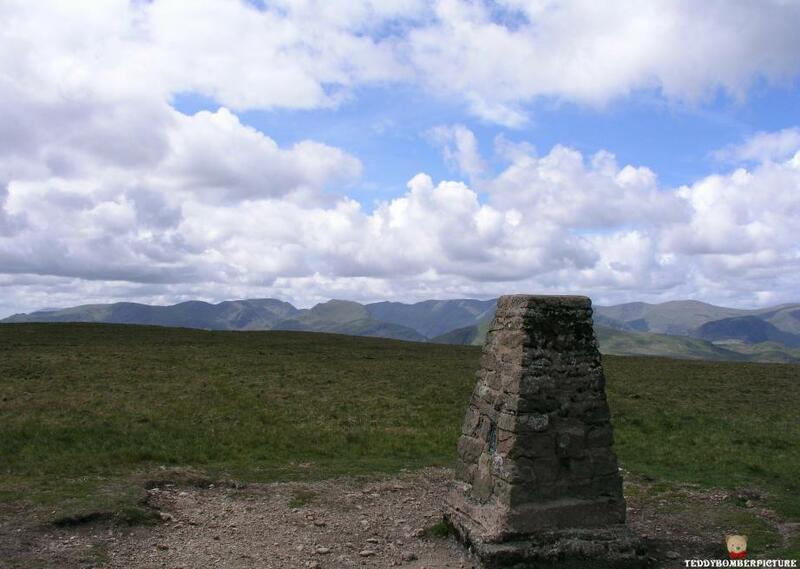 Need to walk west from the trig to get views of Ullswater. Over the tops on walk from Patterdale to Pooley Bridge on a day when the views were almost non-existent. Jon and me at the Trig, there was supposed to be a view too Someone was passing so we got them to take the photo. Makes a change for it not to be from ground level! Peaceful spot (compared to High St.). Camped nearby. Did this on 13 mile martindale round warmest day of 2009 went in river too cool off. 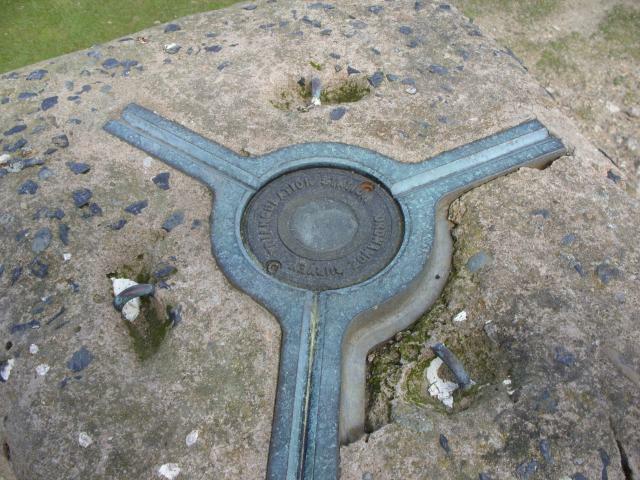 lovely remote trig. Almost missed this one, as it is just off the main path. Bit overcast today but nice, quiet peaceful spot. 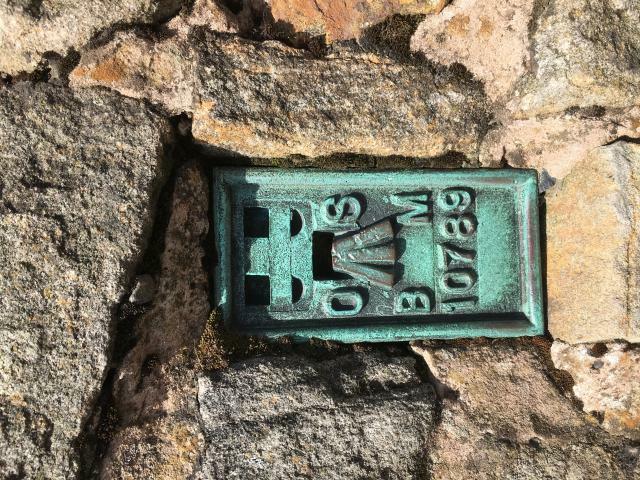 vgc, slender stonebuilt pillar, metal cap, small raised letters. 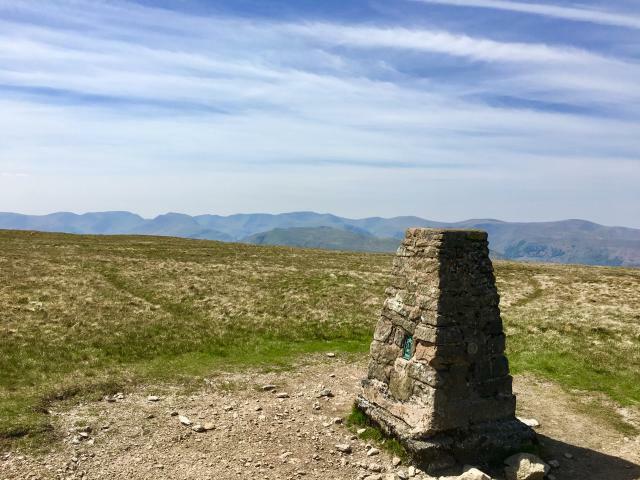 Fairly featureless grassy summit but fine views especially on ascent, from NW, Swarthbank (v limited parking), a path climbs steeply to Swarth Fell. Spectacular views but as others have mentioned pretty skant around loadpot! 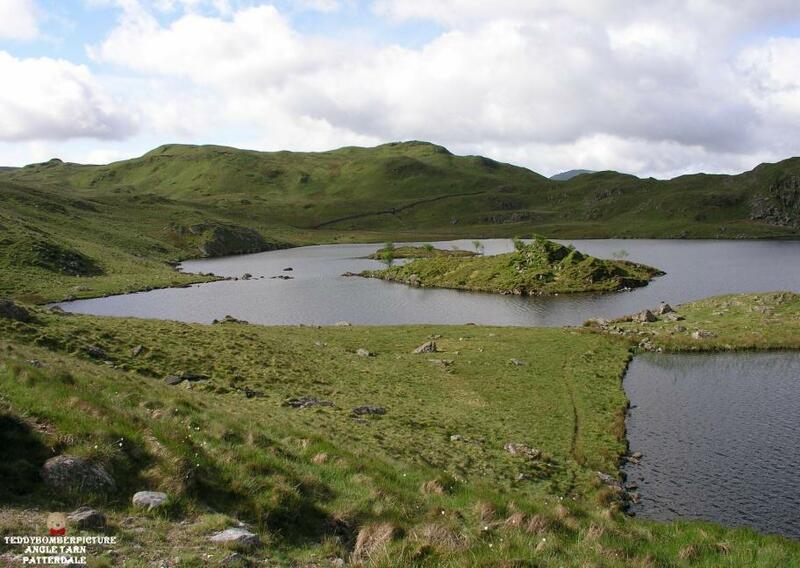 Superb views, although Loadpot itself is bleak and featureless apart from the occasional boundary stone. Seems a larger than average stone pillar - or is that just me? Getting nearer winter - ice on puddle around base! second visit, this time no bike. ground is covered in rime ice . can't believe i met an old friend up here who i've not seen for 5 years!! this time he was on the bike. OI!! where's the 's' come from?? At the N (and least interesting) end of the High Street ridge. 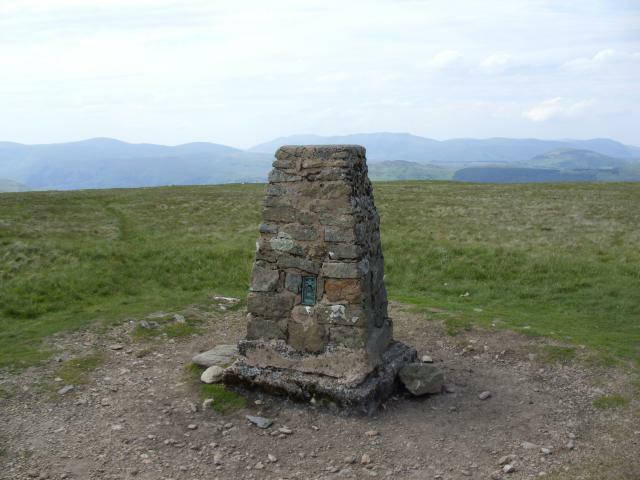 A pleasant fell on a circular walk from Howtown. Climbed from Pooley Bridge.Excellent views over Ullswater. A walk from Moorahill Farm visiting this and Wether Hill. 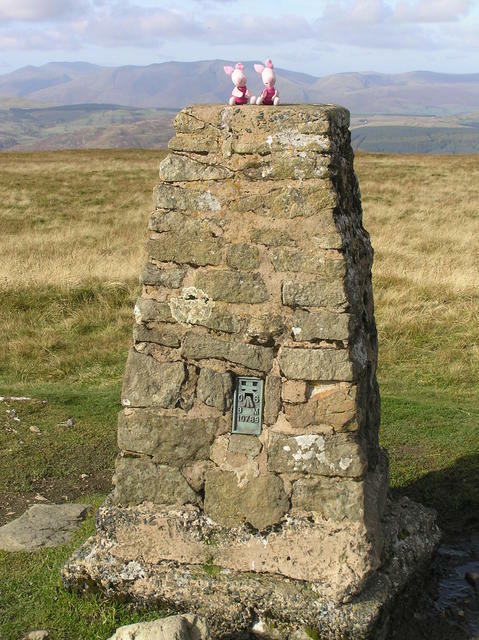 Fine autumn day for this thirteen mile circular walk from Askham. 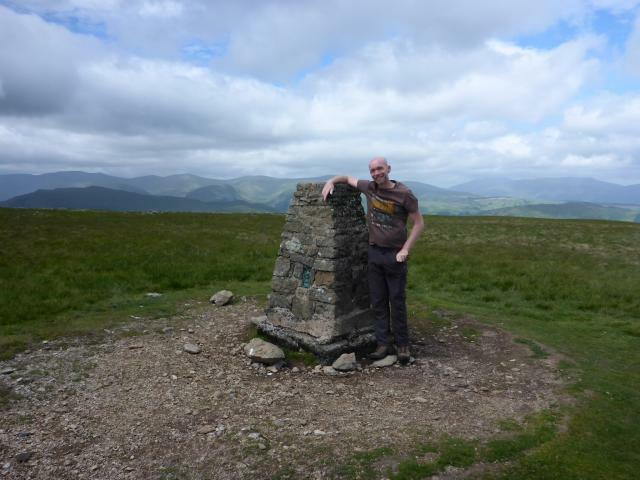 On a ramble around half a dozen Wainwrights in the area. 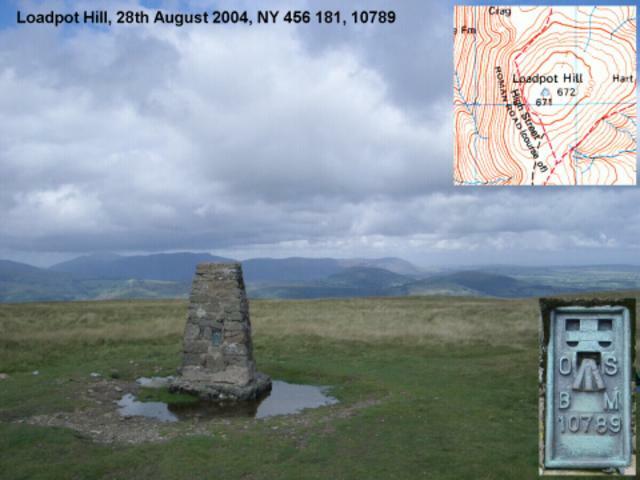 Linear walk: Askham - The Cockpit - Loadpot Hill - High Raise - Angle Tarn - Patterdale - Greenside Mines. Early train, taxi from Penrith to Askham (�4!) then good, long, quiet walk. Most recent of three visits, the first being on 13/04/1981. A rounded hill with a fairly flat top. 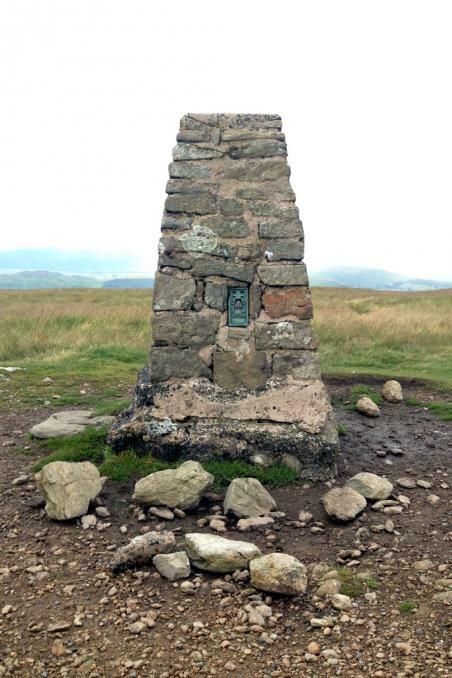 With the boy on a walk from Windermere to Penrith via the Roman Road over High Street. Bivvying out en route. 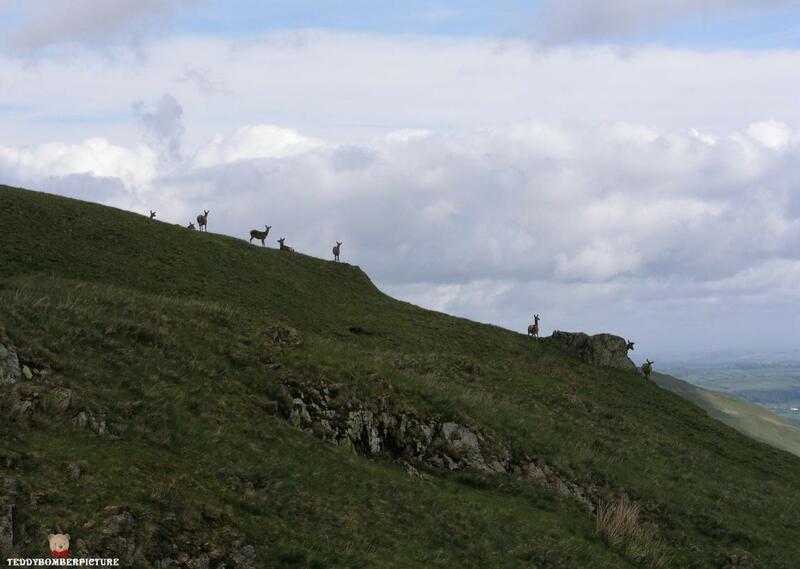 6 or 8 people going south as we made our way down from Red Crag to Bonscale Pike.